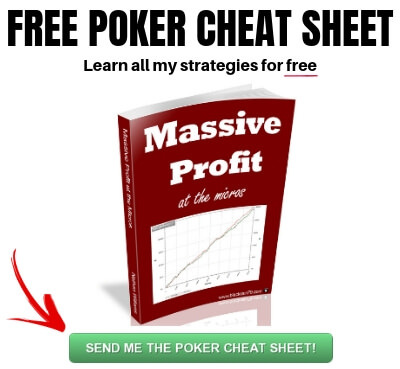 [While there are many good tips in this article and it is definitely worth a read here is my more recent "Setting Poker Goals for 2015" post]. First off, I hope you all had a very merry Christmas! New Years is a time of big dreams and goals for many poker players. You will see new blogs or old ones get re-invigorated with lofty plans for the new year. Many of them with unrealistic projections spurred on by the excitement of the moment...the "new start." But like the legions of lose weight resolutioners most people have given up after a few weeks when the initial enthusiasm wears off. In this article I will talk about how to make sure that this doesn't happen to you. It all begins with proper planning. In the case of online poker making goals at the beginning of the year actually makes a lot of sense. This is because many poker rooms (and particularly the biggest site in the world - Pokerstars) work on a yearly based system for the upper echelons of their rakeback program (Supernova and Supernova Elite). This means that it is much better to start towards your rakeback goals at the beginning of the year as opposed to halfway through or later. As regards cash games, Supernova Elite is something that is only realistically achievable for a very small amount of players already playing close to mid stakes (at least 1/2) or higher with big volume. 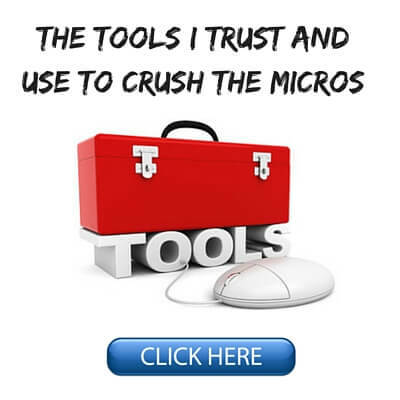 This is a microstakes blog so this will probably represent a very small amount of my readership. Supernova however is achievable at low stakes, as low as NL25, or maybe even NL10 if you are a truly sicko grinder. For a lot of people at the micros I often recommend that they make a plan to get to NL25 as soon as possible, although with a proper plan and bankroll management strategy in mind. It really makes all the difference in the world. So many regs in the NL25-NL200 range especially are kept afloat through the cash bonuses, milestone rewards and more available to you when you become a Supernova on Pokerstars. The rakeback levels at lower tiers such as Goldstar, Platinum star etc. are just not comparable. Also, VPP accumulation and thus FPP accumulation is almost non-existent at NL2 and NL5 and not so great at NL10 either. This is of course balanced out in some way by the much higher winrates that are possible in those games. But it just doesn't come close to making up for all that free rakeback money that you are missing out on. 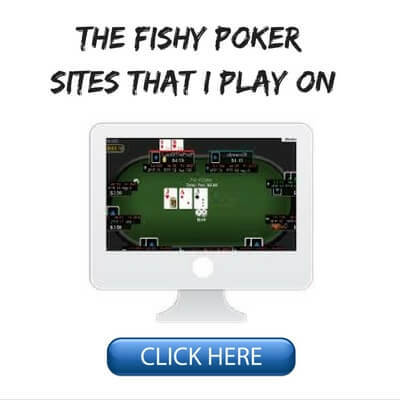 Not everybody plays on Pokerstars of course but similar programs exist on other sites. Many sites still use a "traditional" rakeback format where there are no levels to achieve though. You just get a standardized cut of your rake paid back, 30% for instance. If you play on a site where this is the case then you should just skip ahead to the next section of this article on table profit and moving up. If the site that you play on has a yearly based rakeback system though, and you play low stakes, start planning and going after your rakeback goals now, not in July. It is very easy to do this by getting a rough idea of how many points you earn as you play. For instance, if you play 10k hands of NL25 on Pokerstars then just divide that by the number of VPP you gained in order to calculate your VPP per hand at this stake. Since it requires 100k VPP in order to achieve Supernova on Pokerstars you will need to play approximately 834000 hands over the course of the year in order to get there. You could break it down further by volume needed per month. You will need to play 69500 hands per month at NL25 in order to achieve Supernova by years end. So as you can see it is very easy to calculate how many hands you will need to play in order to achieve a certain rakeback level even down to the exact number of hands needed per month. This also assumes that you stay at the same stake all year - hopefully not! Obviously higher limits mean much higher VPP rates. Please note that the VPP rate used above was just an arbitrary number used for the example. You will need to play a certain amount of hands yourself in order to see what your VPP rate is. Probably just a few thousand hands will be good enough. 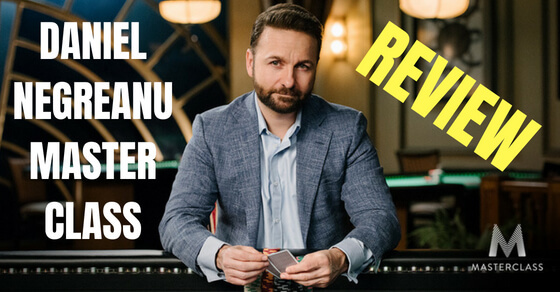 For more on all of this including milestone bonuses and FPP multiplier rates at each rakeback level you should refer to the Pokerstars VIP page on their website. Or if you play elsewhere then check your poker rooms equivalent page. The important thing here is to plan now. But enough about rakeback. Table profit is why you should be playing this game. A forgotten concept amongst so many of the mediocre regs who fill the micro and small stakes tables these days. 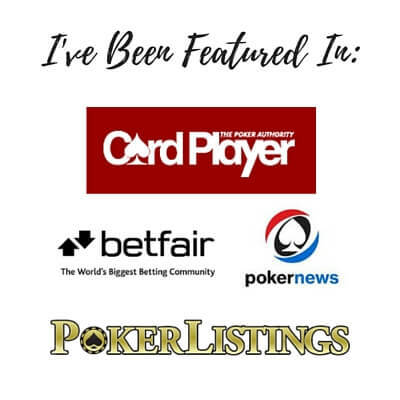 First off, as I have stated in many previous articles, including my State of the Games post a few months back, we need to understand that online poker is not as easy these days. I don't think the games have gotten considerably tougher in the past couple of years but they are quite a bit harder than they were in the so called golden days of 2005-2009 roughly. If you want to take this game seriously and develop a solid side income or even a full time one then you will need to be prepared to work hard in today's online poker climate. The vast majority of people out there are simply not willing to do this and they will get left behind. The key thing to remember is that there will always be a pecking order in this game and it is all completely relevant to who you are playing against. If the hypothetical 6th best player in the world sits down at a table with the 1-5 best players in the world then he/she will have a losing EV (expected value) in the long run in this game. In other words, the 6th best player in the world would be the fish in this game. The beautiful thing about poker though is that you only need to be better than most of the players that you are playing against in order to have a long term positive EV. Nobody is a world beater at the micros and small stakes these days. In fact most of the regs are downright terrible. If you exercise a little bit of table selection and work hard on studying and improving your game then you can certainly do just fine in these games. Also, as I have been preaching for awhile now, mass multi-tabling, though good for rakeback goals, will simply bring down your EV in a big way. Many of the regfish that populate these games are bad simply because they are playing so many tables at once and do not have enough time to explore the most profitable lines in certain situations. That plus the fact that they simply have to play much fewer hands overall. You can't win if you are always folding preflop. It is important to find that sweet spot where you play enough tables to keep your volume decently high but have time to make quality decisions and table select effectively as well. If you are new to online poker or do not have at least some history of winning online then I would suggest that you start at the lowest stakes. That would be NL2. It is very difficult not to win at this stake in the long run. You would have to have major fundamental problems with your game in order not to. 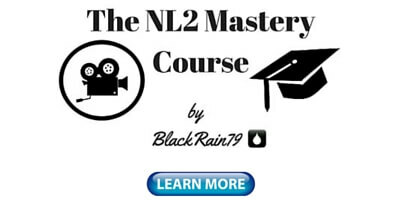 NL2 will allow you to find that out for sure and at a very cheap price and then make the appropriate adjustments. Stay committed to consistent play (every day if possible) and slowly move up. If you aren't winning then study the game more to improve, be it training sites, reading books or hiring a coach. Also, set aside some time to study the issues that you are having in your game in either Pokertracker or Hold'em Manager on a regular basis. Both of these programs provide a plethora of great information on every detail about your game. Perhaps even better they both have fantastic filters that allow you to look at any conceivable situation in detail. Having trouble in 3Bet pots OOP (out of position)? Apply the filter and look specifically at 3Bet pots where you were OOP! Equally as important and often overlooked is to study the games of the best players at your current level. What are they doing better than you? What parts of their game could you perhaps incorporate into your own? How are they playing in 3Bet pots when OOP differently than you? Lastly, take controlled shots at the next limit when ALL of the following conditions are met. A controlled shot means that you are prepared to potentially lose X number of buyins in order to take a shot at sticking at the next level. If things do not go well for you then YOU WILL move back down and regrind what you lost and rinse/repeat the process in the future. 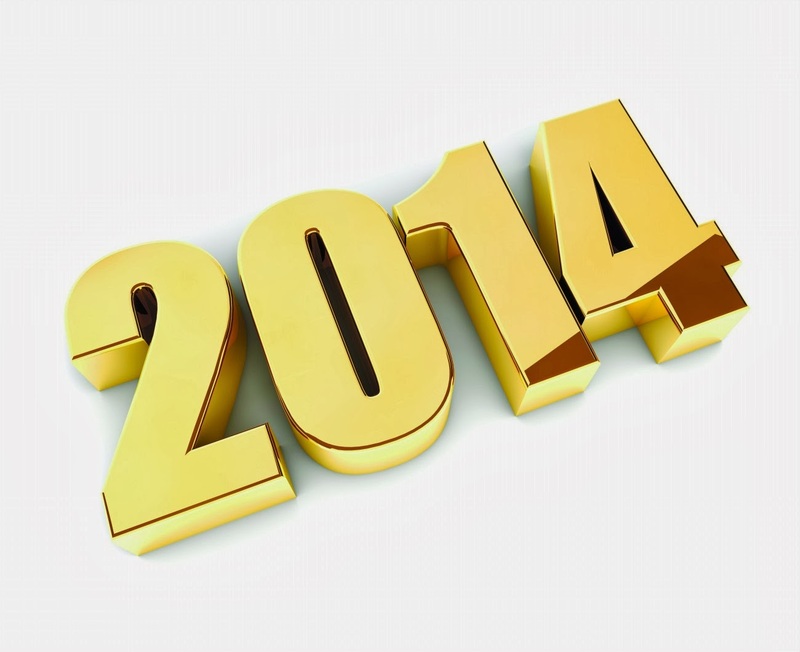 I wish you all the best in 2014 and let us know what your poker or even life goals are in the comments below! If you enjoyed this article please "Like" or "Tweet" it below! I'm a Zoom player and want to achieve Supernova in 2014. I want to 8 table like DaWarsaw. (8 zoom tables at 6 max) I'm starting with 2nl and had lots of success at 2nl and 5nl 8 tabling. Thanks for the article! With that kind of volume you should be able to do it especially after you move up a few stakes. All the best in 2014! I actually think 8 zoom tables is a bit silly. I don't mean in the sense of "focus on fewer tables" like everyone always says. In zoom the limiting factor is how fast you can play, not the # of tables. On more than 6 tables you are probably just playing slower on all of them so your hands/hr does not increase much and you're also making more mistakes. Most likely later this month. Some great stuff in this article, thanks! I want to make SN this year but I play 10NL right now and I think it will be difficult. Hope to move up soon tho! Well you have all year Tom. Just focus on moving up to NL25 by even the middle of the year and you should be fine. I have done SN in like two months before at NL25 and NL50 with some crazy volume. For us US Players still stuck with either Bovada or the Poker Host, Poker Aced skins, any thoughts about rakeback? Rake the bar prohibits you unless you are a new player and I've already signed with these sites. Sorry but I have never played on either of these sites so I could not comment. i have 1 year 2 make enough money 2 start living from poker,so i wanna do it as 'safe' as possible....what do u think,is it ok or would u start higher levels with less buy ins if u were in my shoes? i played for ca 25 minutes now 6max,850 hands,42bb/100 and made already 10 VPPs!!! which is great coz this way i can reach my VIP-level goals much sooner! so i was wondering y u dont talk/write also about 6max?or is it the same just using 3 less positions?ok u lose the profit of the 3 1st positions but the overall style at NL2 6max should b just sooo profitable! !or is my 1st impression wrong? or lets ask it differently...what do u think is a good winrate for an average player,u know,not like u,but also not like the worst of the worst,somewhere in the middle which should b reachable for a person with an average IQ and the ability 2 turn into practice the things he/she reads? what do u think should b reachable for ur students as winrates in NL2-5-10 and 25? do u still live in thailand? if everything goes well then i have 2 leave greece also coz they charge taxes now for ur profit every day!!! !if u make more than 100euro/day they keep 15% taxes,and 20% if u make more than 500!!!! I think 100 buyins for moving up is definitely a bit excessive. I understand your wish not to want to move back down again but I think you will be wasting a lot of time and potential profit by building up such a large bankroll. 6max is a bit of a different game although I don't think the long term winrates are any different than in FR. I do talk about it all the time. I have tons of 6max videos on DTB and anytime I talk about specific theory on the blog I break it down to FR and 6max. See my post from Nov 8th for instance "Beating the Regs." Winrate questions are very difficult to answer because it depends on the person's ability, how many tables they play, if they table select well etc. It is better to just go out there and see what you can achieve for yourself. u say that 100 buyins is a bit excessive...how many would u recommend?and still b somehow 'safe' ? I think you should just play whichever format you prefer personally. Sure you will get more hands per hour at a 6max table but your play will be worse. Most people play a few less 6max tables than they do FR for this reason. re: Bankroll, it's different for everyone but 100 seems insane at these stakes. NL2 and NL5 are both incredibly easy games with minimal variance. You should just focus on moving up through them as soon as possible. what is the best thing 2 do with the FPPs?collect them til u reach supernova and then buy the 1600$ with 100 000 FPPs or is there a better way 2 turn them into cash? i think in ur book or in an article here u mentioned that u used 2 play some kind of satellites for sunday storm and then cash the ticket out? just played some sunday storm satellites 5pps but i have 2 say that the more i play cash the more i dislike SNGs and MTTs!!!! 2 much variance involved,u HAVE 2 get lucky 2 go deep! !i think harrington once said that its like a lottery,just that the good players get more tickets but its still a lottery!!!! was a professional athlete all my life and luck is something that has no place in my way of thinking and working,so cash games fit that very good,u may lose some hands or even a lot coz of bad luck,but if he/she stays around then u get ur money back plus interest!!! 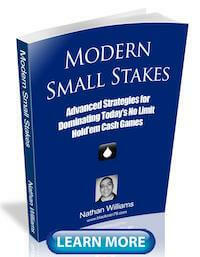 what satellites did u play and what was ur cents/FPP?and do u still do that?is it profitable? Yup, as linked in that article. Takes some time to play them and yes there is variance but still the best overall value imo. Just cashing them in for the bonuses is really bad value and I am sure whatever else is available in the FPP store is terrible value also. Could you make a post discussing the starting hands we should play at micros, 6max/full ring please? I will make a note to write a blog post about this in the future. 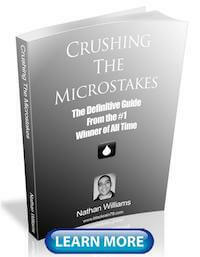 This topic is covered in depth in my book by the way with a chart on page 66 and analysis in the following pages.